My previous blogs detailed the first four common mistakes when setting up a business (part 1, part 2). This blog seeks to address the fifth and arguably the most key one. Especially when seeking investment or funding; when you are ready to scale up; or launch your product overseas. 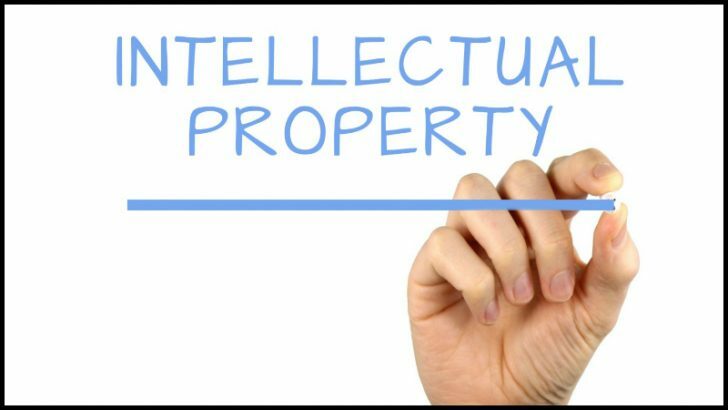 Intellectual Property Protection (‘IP’): This is a valuable asset for most businesses. If seeking investment, an investor will want to see your IP portfolio and be clear you own this IP outright. This is essentially an investor’s collateral. Today many companies have some international element to their business. So it is important that these intellectual property rights are protected both in the UK and, where applicable, abroad. I have seen several horror stories when it comes to IP. In one situation a significant amount of money had been spent on branding & building up the goodwill of a company. However, the client had not registered the name or logo. At year 5 when an investor requested this, the application raised a flag to a large overseas company with the same trading name who had registered this in the UK. The company tried to fight this, but lost and had to re-brand losing the investor as well as the costs incurred of re-branding and some of its goodwill. IP Rights are only protected where the rights are registered or granted. The protection of intellectual property varies considerably between countries. However, most recognise and afford some protection to the principles of copyright, patents and trade marks. Registering your trade marks is a relatively easy and cost effective process providing it is done carefully, checking the mark is available, understanding the countries applicable, planning for the future and defining your intellectual property and the classes carefully. A trade mark is a mark used in the course of the business. These are typically the business name and logo. It may include a slogan or catchphrase or a domain name. If you operate both inside and outside of the UK it is important to consider whether you should register your trade mark in the other countries in which you operate or may operate in the future. With a web presence most businesses now have some international reach. Whilst you can apply for a trade mark in each separate country there are both European and international level applications that can be made instead to cover multiple countries. These are often the more cost and time efficient options, but may initially mean spending a little more on this protection method. Currently if you operate in the EU you can make a European trade mark application which will protect your mark in each country within the EU. This right is unlikely to exist post-Brexit so it is an opportune time to take the necessary steps and protect your IP in the EU whilst you still can. You can also register for an International Trade mark by way of an application under the “Madrid Protocol”. This currently means for one application you can register for up to 98 countries. It does, however, mean that your International Trade mark is dependent on your UK mark so if for any reason your UK trade mark is attacked within the first five years you may lose your rights to the International Trade Mark so it is important the UK mark is done carefully and correctly. Copyright is the natural protection an author is afforded in their original work. This may be amongst many other examples a piece of software coding, a logo design, a book manuscript or a written manual of your processes. There is now a significant degree of harmonisation on copyrights and most countries adhere to the Berne Convention, if not others. This means it is much more straightforward to enforce your copyrights and their protection. Most countries in the World recognise the same symbol for copyright (c) or © and copyright exists irrespective of its registration and we strongly recommend you attach this to your designs. A patent is used to protect the innovative element of an invention. The technical requirements of patent applications are beyond the scope of this article, You can, however, obtain an EU patent which offers projection in each of the EU member states. Additionally there is an international patent application procedure available. If you have truly invented something unique you should look to register a patent as soon as possible. Whilst awaiting registration it is critical that you do not disclose the invention to anyone or you may harm your chances of registering the patent. You should always have a comprehensive non-disclosure agreement in place, even with potential investors. You will hear many times that investors refuse to sign NDAs; this is not always the case and you should make it clear you are protecting your business and its IP. This protection now should protect them as shareholders in the future. If you have hired a person or company to create your IP and/or products it is vital that you have a detailed and protective agreement in place. This should assign full ownership rights to you as these do not automatically transfer to you irrespective of payment being made. It should also cover what that third party should do upon completion or termination of their engagement. Such to consider would be destroying any workings, maintaining confidentiality and importantly being unable to use the IP themselves unless permitted to do so by you. If your employees create IP during the course of their employment this will almost always automatically be your property. However, you should still ensure that these provisions are outlined in their employment contracts for added protection. It also helps to cover any IP created in their spare time or if they use your resources or knowledge. By having a non-compete clause it also means that if they terminate their employment with you then they cannot take this knowledge and create new IP to sell on or compete against you. It is key that a legally binding agreement sets out the terms upon which these third parties can discuss or disclosure your IP or confidential information to others. Such an agreement keeps your ideas confidential during the development stages and prevents them using this information for their own gain. You can, of course, permit someone else to use your IP and pay you a royalty for this right. This is often the case for franchise arrangements or a software license. As an owner of IP a comprehensive license should be executed between you both to protect your position. It should set out the exact terms upon which the user can use the IP and importantly on what basis you can withdraw this right to protect your ownership rights. If someone is using your IP legal action should be taken immediately so as not to harm your business and goodwill and to avoid you inadvertently giving them rights to use this. These disputes can be costly so on the flip side you should always check before using your branding and registering your IP to be certain it is free to use and you will not attract litigation. The way in which intellectual property rights disputes are dealt with internationally varies significantly between countries. However, in Europe there is harmonisation with the European Enforcement Directive(Council Directive (EC) 2004/48) which provides for compensation or damages flowing from a successful infringement claim. Unfortunately, we have seen many clients come to us, after spending considerable sums on branding and marketing who have not correctly considered the reach or future reach of the company so are faced with having to deal with objections, disputes or rebranding. In conclusion it is always important to protect your intellectual property rights as soon as possible. Additionally, you do so on an international scale if you are operating in another territory or worldwide or intend to in the future. Managing Director & Founder of A City Law Firm who practises in both commercial law and litigation, having been admitted to the roll in 2005.